Vilket ljus är bäst kallt, varmt, rött/blått eller rött/vitt? Nu har det gått 5 veckor. » Chili – Hobbyodling av chilipeppar! ← No Jigsaw F3 en sort som överraskar! Vilket ljus är bäst kallt, varmt, rött/blått eller rött/vitt? Nu har det gått 5 veckor. 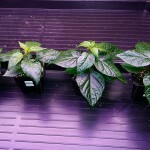 The plants have now been placed under the respective light source for about. 5 weeks since its inception. You can see a big difference in growth between the fluorescent lighting and LED lighting. 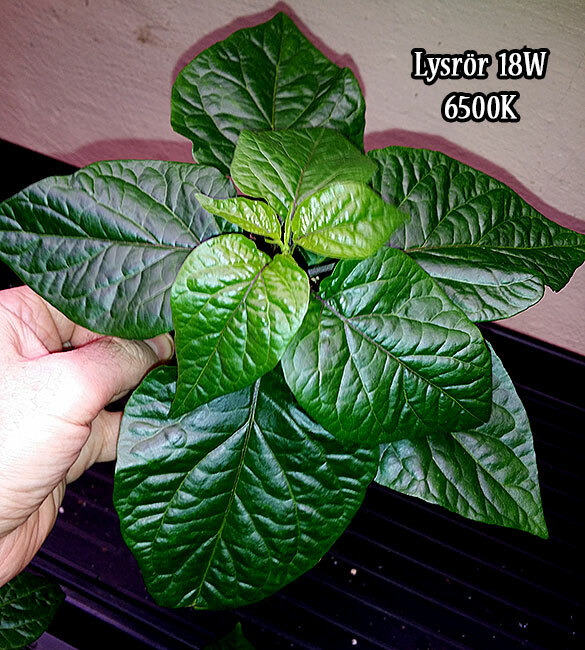 Complete best have the plants developed under warm white (2700K9 and Daylight-White (6500(K)) When it comes to the POINT, it is so far Venso LED is best. 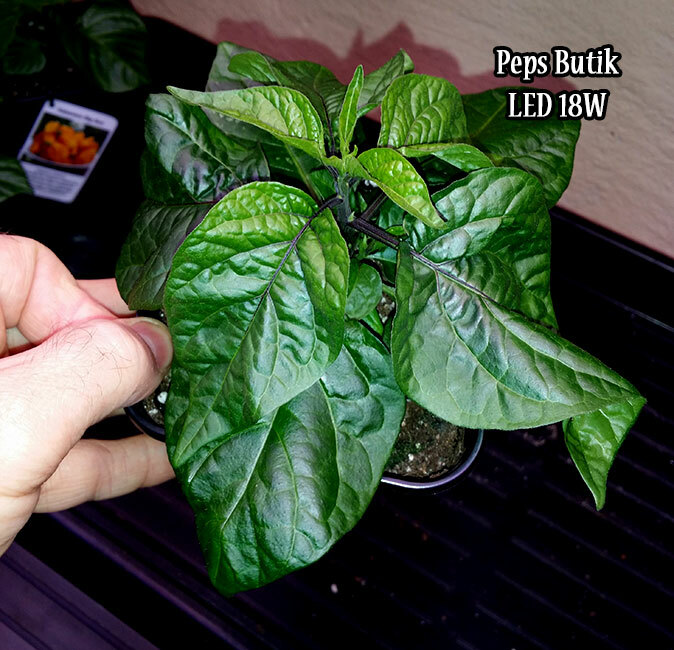 Pepps Retail LED is a little but it works fine with. considering the price, it's right nice. About ca. 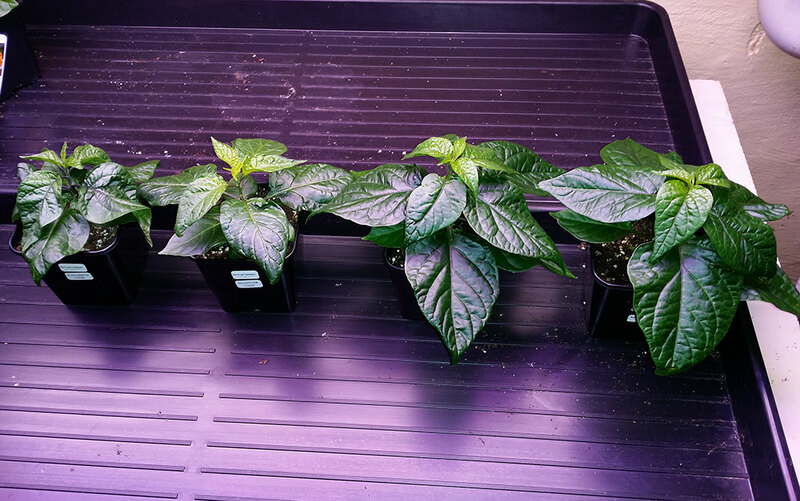 one week I'm going to school on seedlings to larger pots, and then they may grow further under each light source, who knows they might come up with in the joint but right now, there is no doubt about which sources of light is best for these chiliplantor. 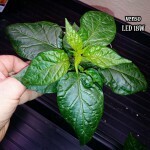 I have 4 St plants during each light source and shows off those developed best in each source. There is not much difference at the other plants in the development. Here you can see how the plants looked like when I started. 2 Responses to Vilket ljus är bäst kallt, varmt, rött/blått eller rött/vitt? Nu har det gått 5 veckor. Thanks for the great and interesting and very indicative pages. Interesting experimental lineup with fluorescent/LED. 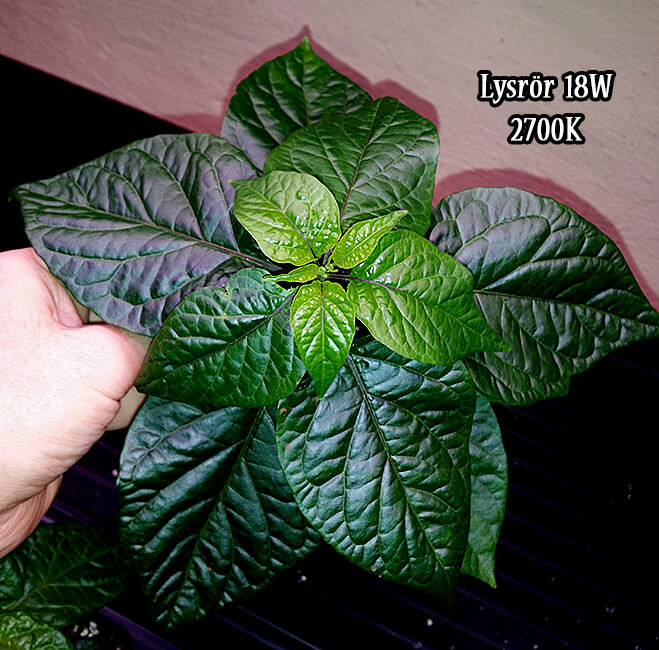 The distance from plants have respective lighting? 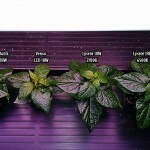 The leaf temperature/temperature have seedlings under each shelf. Converts each set as much electrical power or is the theoretical power values? A lot of the LED indicates the theoretical values but delivers only half. Is unfamiliar with LED light fittings, is the White, Red, Blue or a combination of all? 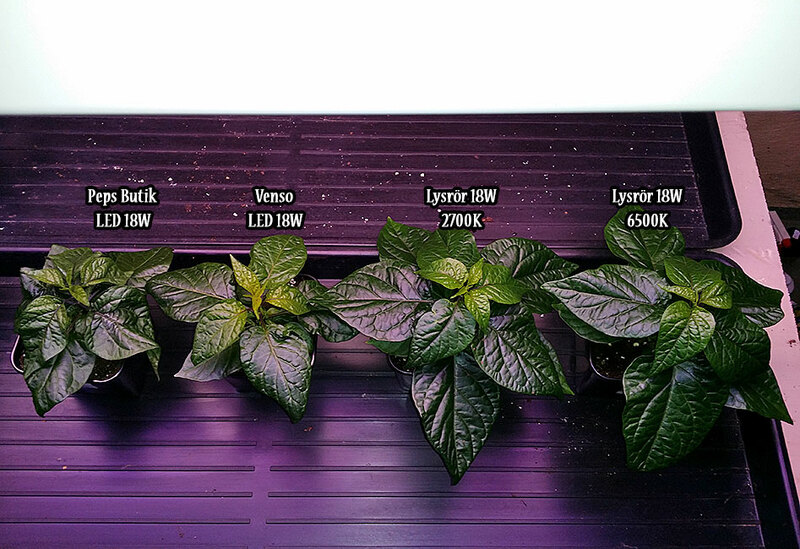 Hi Leaf temperature is slightly lower at LED lighting because they do not emit any radiated heat and of course negatively affect growth. The PART I use I have measured up to values is true. 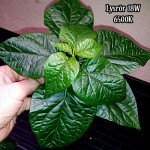 It is as you say quite common that LED just goes on half power so the lamp can not be sure. In an LED is red and blue and in one of those white red and blue is a combination of all the colors.